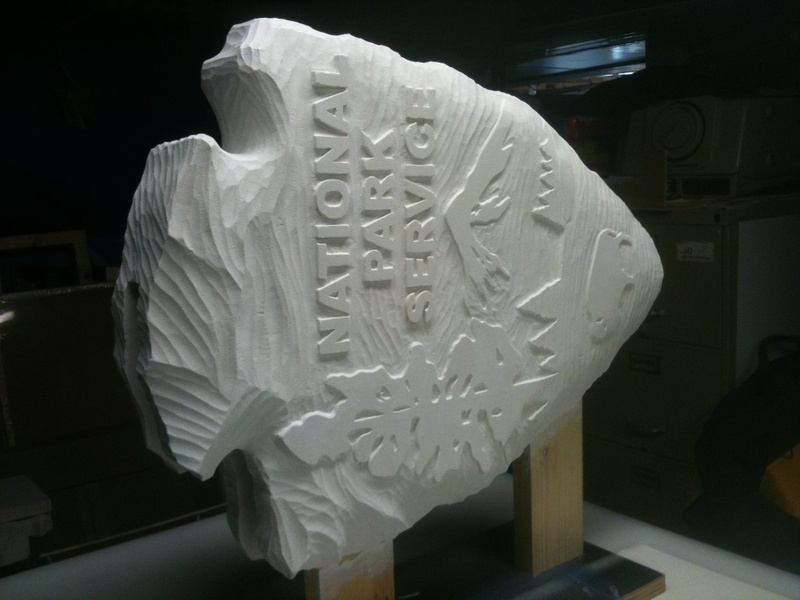 Rob Estes, of Brushstroke Signs in Paducah KY, wants everyone to know that hand-carving is still alive! 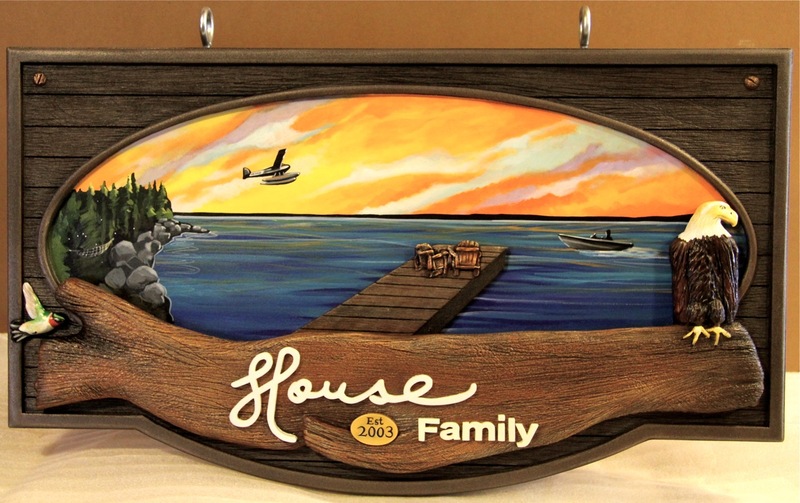 Rob has been making signs since 1985 and has always been an avid hand carver and hand painter. He’s been using Precision Board Plus for years for his dimensional signs and does not own a CNC, and he doesn’t plan on buying one anytime soon. “I use Precision Board Plus because it’s the premier HDU on the market. It is easy to carve and I can be extremely creative in my designs”. 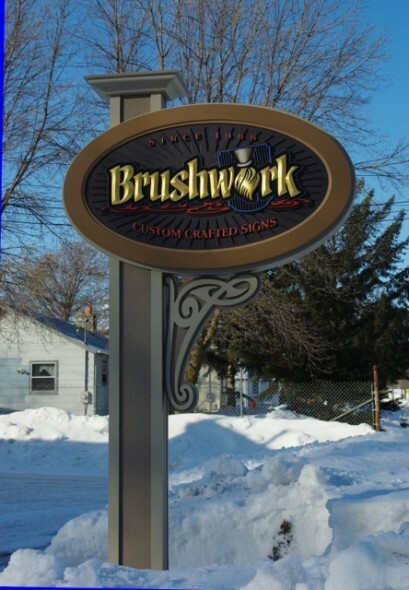 Rob has always specialized in sandblasted, hand carved designs, and gets the most joy from designing and fabricating these types of signs. For years he’s also been very involved in gold leafing, smaltz, digital printing, hand painting, vehicle wraps, logo design and branding. Rob, for many of his 30+ years in the sign industry, has been involved in The MidCoast Letterheads and is still very involved in meets that include hand-carving, gold leaf on glass, and hand painting (to name a few). Being part of Letterheads ‘The Keepers of the Craft’, is extremely important to him. Rob is also involved with “The Walldogs” which is a group that specializes in hand painting large wall murals. 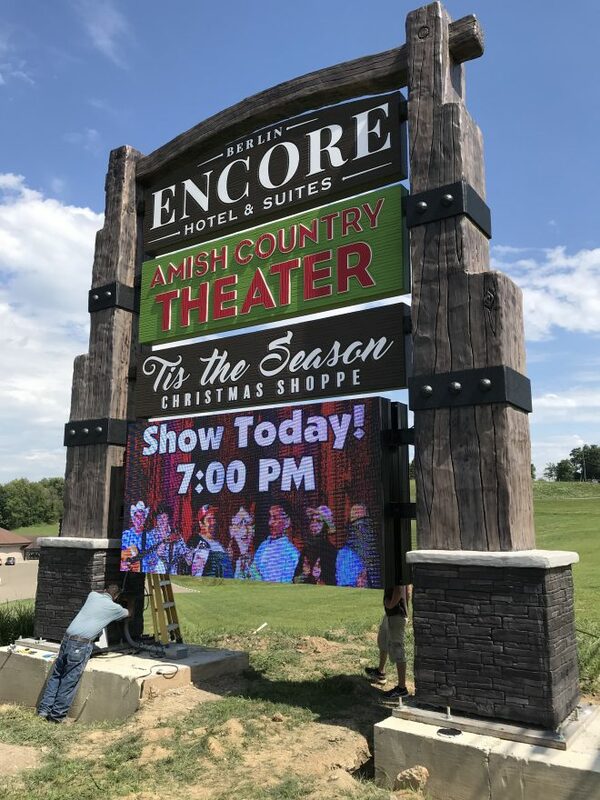 If you’d like to talk to Rob about his work and get a quote, or get involved in Letterheads or Walldogs, give him a call at (270) 442-8665 or e-mail him at rob@brushstrokesigns.com. Be sure to ask about his portfolio because he definitely has enough talent to help you out, no matter what the need is!